My family and I have owned our 1984 Regency for a little over 5 years now and have enjoyed it more than we ever thought we would. 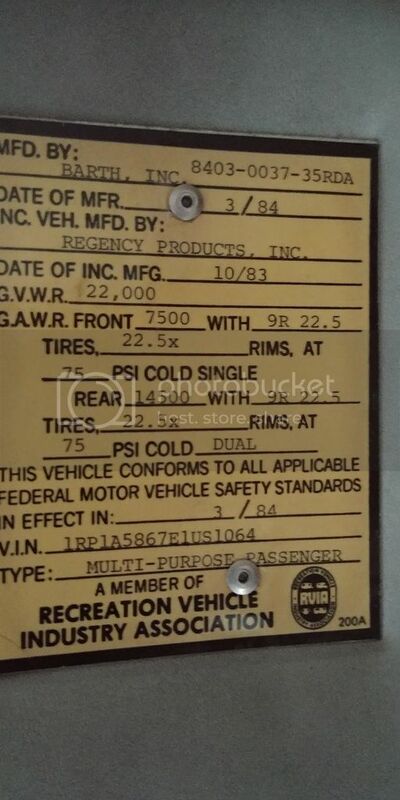 When we purchased it the coach had been sitting for 2 years, the roof was leaking, tires were dry rotted, and the batteries had been stolen out of it. It has been a lot of work but well worth it. Unfortunately, I have now stumbled onto an issue that I need some help with. 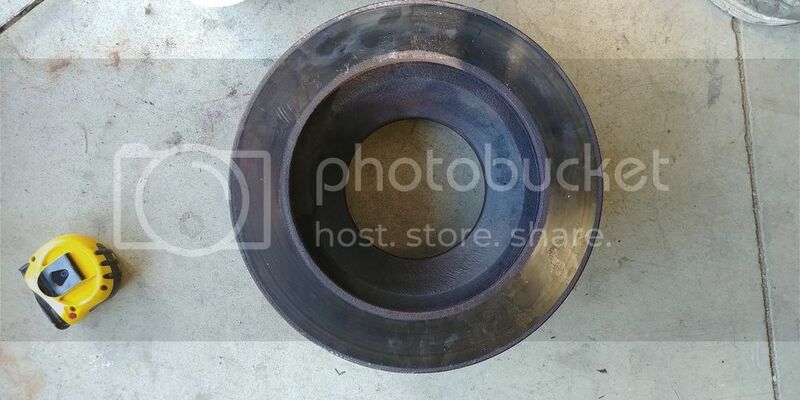 While installing new brake pads front and rear I found that one of the rear brake rotors has heat cracks starting in it and will need replaced soon. The only source for these rotors that I have been able to find is Motor-coach restoration. Unfortunately, they are out of them and have no intention of having any more made. Obviously this leaves me with a serious problem. 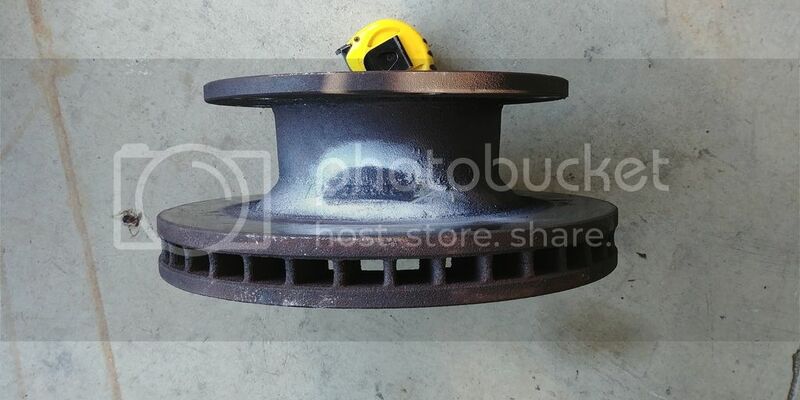 I have scoured the internet and found rotors that look similar but no one can help identify them with the numbers that I have or the measurements off them. While I have the ability and resources to put together something that will work I would much rather find the correct part and just bolt it on. So, does anyone here have any suggestions? 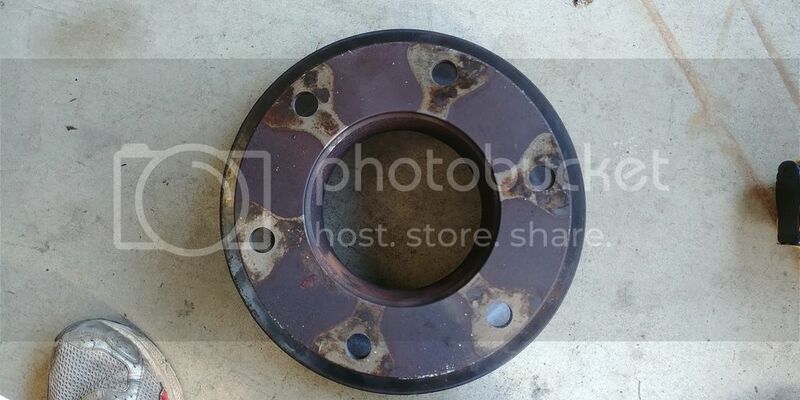 Got a spare brake rotor sitting around you want to sell? Know where there is a junkyard full of old Barths? Anything?? Are the rotors beyond the minimum thickness? If not then have them cut and use them. Or who built the chassis? GM? They should be easy to source. The Regencies of that era were all 35 ft and were on the MCC chassis. They had 8.2 L GM 4 stroke diesels, prone to overheating. They also had independent torsion bar suspensions with great ride. The early Regencies were excellent coaches but were plagued by engine and suspension issues. Availability of suspension parts, esp front end is a problem. These were truly orphans among the Barth orphans. Try pming FordGuy62, he has good knowledge of these brakes. Might go thru his posts. I found this old post that might help you out . 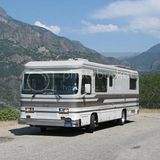 RVS in Morgan Hill CA is no longer in business,I think there is a place in Hayward CA that might be still in business that serviced FMC coaches, next time up there I will check them out. Thanks for the response. The Kodiak brakes look very similar, I'll to do some research on them. I think this is going to turn into a "that looks close enough" project. I think MCR is out of stock also. Good luck. Let us know if the Kodiak stuff can work. All the MCC guys would love to know where to find them. ANY LUCK? Just bought (a few months ago) a 1983 35' Regency and desperately need a rotor. First longish road trip threw a pad and pretty much took out the rotor. Further investigation we had Bendix calipers on 3 wheels and one which was an unmarked caliper, who knows what, yup..... ugh, calipers, pads, are not difficult but where in the world can one get a rotor?? gbrown, I assume you have tried to match them at your local NAPA (National Automotive Parts Association) store. If you look around at the United Parcel Trucks you will notice UPS (brown delivery) trucks that may have similar configuration. Rotors are out there somewhere. Thank you for posting your Data Tag with us. Now you have a personal folder for your Barth. The folder is 0037 which comes for your Data Tag build number, was created by our host Bill NY for your Barth. You are a genius at the linking process, so please try sending your photos, following the instructions on this page again. If you are not paying photobucket the linking process we may loose the photos. Good luck with your effort to find rotors.